India’s Mahatma Gandhi National Rural Employment Guarantee Act (NREGA) is an influential law passed in 2006 to guarantee any rural household up to 100 days per year of public works employment within 15 kilometers of their residence paid at state-level minimum wages. Introduced with the aim of increasing rural incomes, helping villages to accumulate assets and strengthening local government institutions, NREGA is now in its ninth year of implementation. But with national elections now completed and new governments taking office at the federal and state levels, there are new concerns about whether or how NREGA can continue to evolve in playing a role in India’s efforts to reduce rural poverty. 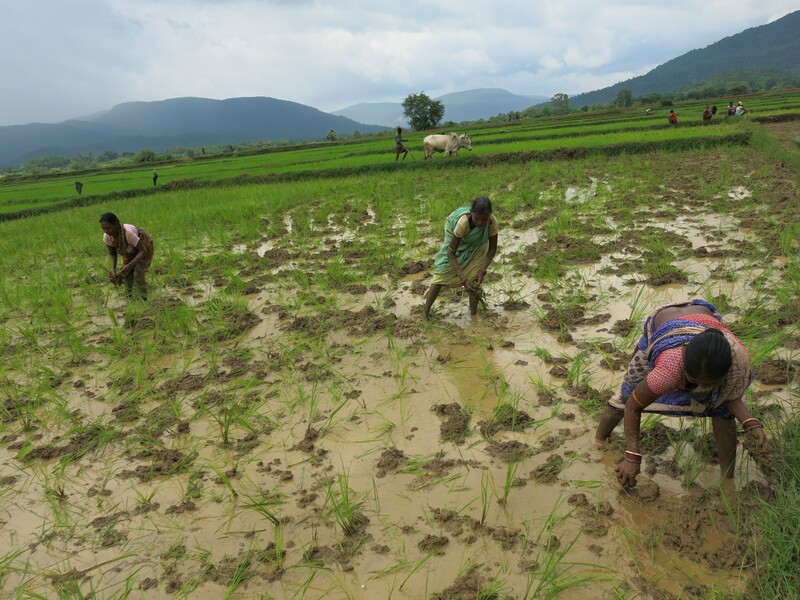 The potential for NREGA to catalyze change in rural India remains significant, particularly in the risk-prone agro-ecologies covered by CSISA. NREGA was thus the focus of a major policy conference convened in Mumbai on 26-28 March by the Indira Gandhi Institute for Development Research, the International Food Policy Research Institute (IFPRI) and Cornell University, with funding from the International Initiative for Impact Evaluation (3ie). The specific aim of the conference was to evaluate the state of knowledge about NREGA’s impacts, achievements and shortcomings, while also exploring how NREGA might renew its focus or adapt to changing realities moving forward. CSISA was represented at this conference by P.K. Joshi, IFPRI’s director for South Asia, and by Anil K. Bhargava, a collaborator from the University of California Davis who has been working closely with IFPRI and CSISA since 2011. Bhargava’s paper, “The Impact of India’s Rural Employment Guarantee on Demand for Agricultural Technology,” focused on how small and marginal farmers in India are impacted by NREGA. 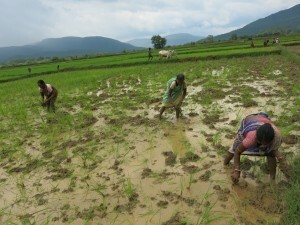 The paper suggests that, because the program focuses on employing the poorest rural workers on (mostly) irrigation-related infrastructure, the price of unskilled labor may have increased to the point where some farmers shift production practices towards labor-saving inputs and technologies and away from water-related ones, at least in the short run. To the extent that these inputs and technologies increase agricultural productivity, rural laborers may eventually see more skilled agricultural work available in the long-run at higher wages, provided workers are able to increase their education and develop their skills. Collaborating with other NREGA researchers from the conference, Bhargava will be evaluating new data on production, technology and labor markets to demonstrate long-run impacts of NREGA. Joshi, Bhargava and other researchers who attended the conference discussed the metrics on which NREGA should be evaluated, as well as evidence centering on NREGA’s implementation, impact and unintended consequences. The conference also included presentations from beneficiaries who shared individual stories of empowerment, respect and gender equality outcomes from the program that are hard to capture in broad, data-driven analyses. Program administrators and social auditors presented their state-level experiences, successes and challenges liaising between beneficiaries and government institutions, including ideas for moving forward with NREGA on state-specific strengths. The conference closed with a synthesis of perspective on NREGA’s achievements and shortcomings. Looking forward, many participants — including NREGA’s own architects and implementers — agreed that much more had been accomplished since inception than the program is often given credit for, although there is still much to be done.